“A doctrine has practical value only as far as it is prominent in our thoughts and makes a difference in our lives. By this test the doctrine of the Holy Spirit as held by evangelical Christians today has almost no practical value at all. In most Christian churches the Spirit is quite entirely overlooked. Whether He is present or absent makes no real difference to anyone. Brief reference is made to Him in the Doxology and the Benediction. Further than that He might well as not exist. So completely do we ignore Him that it is only by courtesy that we can be called Trinitarian…. 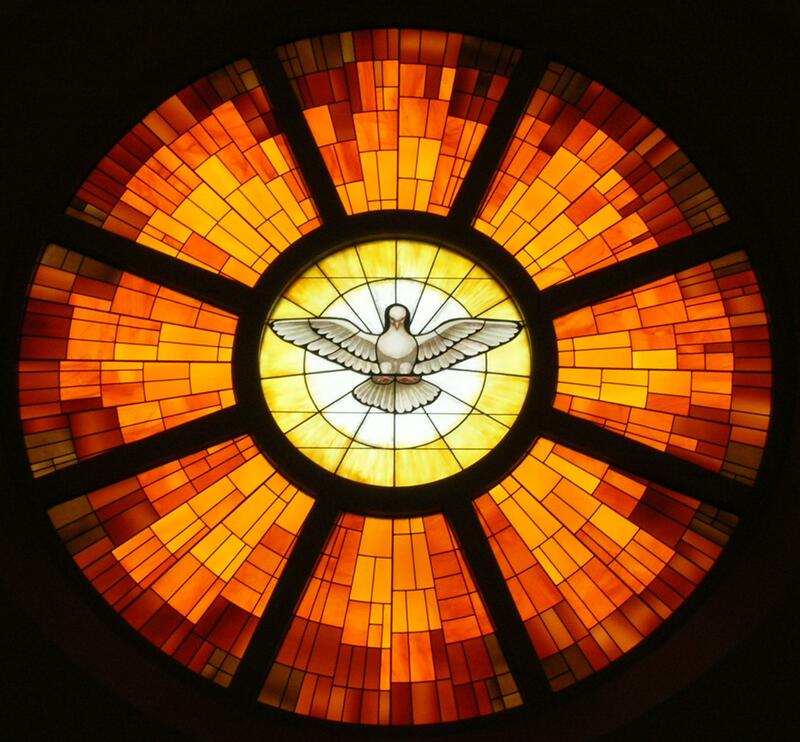 “…The Holy Spirit is the Spirit of life and light and love. In His uncreated nature He is a boundless sea of fire, flowing, moving ever, performing as He moves the eternal purposes of God. Toward nature He performs one sort of work, toward the world another and toward the Church still another. And every act of His accords with the will of the Triune God. Never does He act on impulse nor move after a quick or arbitrary decision. Since He is the Spirit of the Father He feels toward His people exactly as the Father feels, so there need be on our part no sense of strangeness in His presence. He will always act like Jesus, toward sinners in compassion, toward saints in warm affection, toward human suffering in tenderest pity and love. We read that the gathering was interrupted by a wind that rattled their venue. Fire proceeded to appear before them and descend upon them, resulting in the inexplicable ability to proclaim the Gospel of Jesus in all the tongues of the known world. Guests to the city were stunned to hear this New-Life message being proclaimed in the dialects of home, wherever home might have been! Some Bible readers have connected unusual dots in this story. 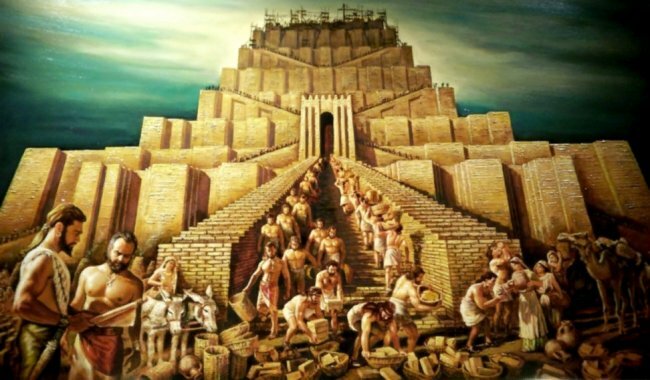 Within the earliest pages of the Bible, we read of the Tower of Babel (Genesis 11). The story is bizarre for at least a couple reasons: 1) It describes a united humanity setting their sights upon building a tower that would reach the heavens, glorifying them to god-like status. 2) It responds to itself by describing God in a way that appears petty and insecure, as if he felt the need to defend heaven’s borders against the invasion of these ancient architects. Where diversity (seen in the languages) fractured humanity at Babel, diversity (seen again in languages) depicted God’s unifying of humanity at Pentecost. The Creator who loves diversity and labours for its unity works intensely to bridge gaps, wreck walls, and to execute His all-consuming plan: “to unite all things in him [Christ], things in heaven and things on earth” (Eph 1:10). Babel displays the losses incurred when we are driven by a desire for personal greatness. In ways that we cannot fully grasp, this motivation fragments and divides, actually opposing the universal goals we find at the center of God’s will. Conversely, Pentecost reveals an image of Christ-centeredness, a wildly submitted desire to see his name spread far and wide based on the conviction that profound blessing and deep life come with him. Two stories of many mouths speaking many words. Babel’s abandoned tower shows a dust-dry site of no-life-here, despite the sweat and strain spent there. 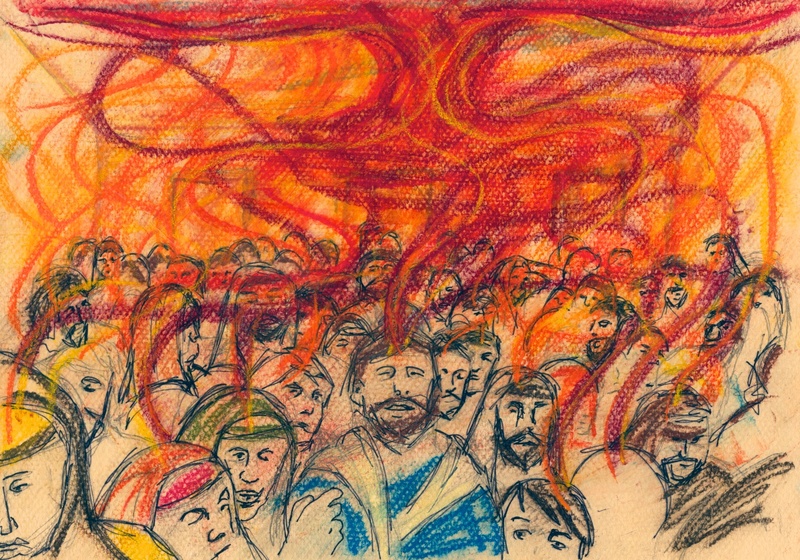 Pentecost invites us into a wind- and fire-charged environment where embracing God’s plan in Jesus Christ releases us into an existence and experience that extends to the ends of the world. In my LAST POST, we began looking at Jesus’ late-night dialog with Nicodemus (Jn 3). Highly educated and thoroughly trained, Nicodemus came curious about how one could function with the Kingdom Reign of God, of which Jesus spoke so often. Jesus’ answer: You must be born again. Nicodemus’ reply: How is that possible? Jesus’ response: Similarly to how your father impregnated your mother, you must conceive this new life via a fertilization by the Spirit of God. So what would it take to produce a man or woman tightly tuned to the voice and moves of God? What would be required to create a man or woman filled from and fueled by the infinite well of wisdom, grace, and love? 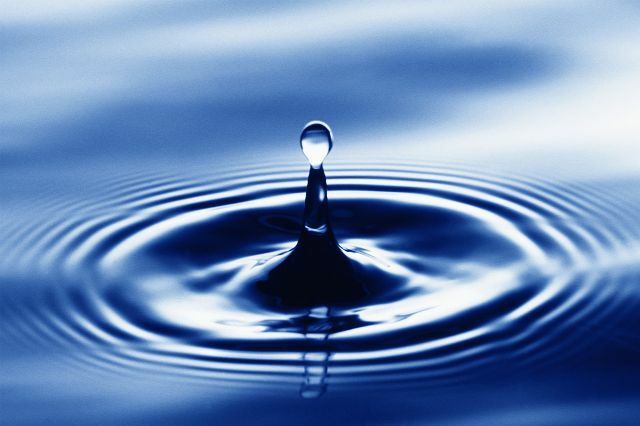 What would be necessary to bring forth a man or woman whose life had such substance as to send ripples through the spiritual realms? After speaking of the womb, Jesus moves to the wind. 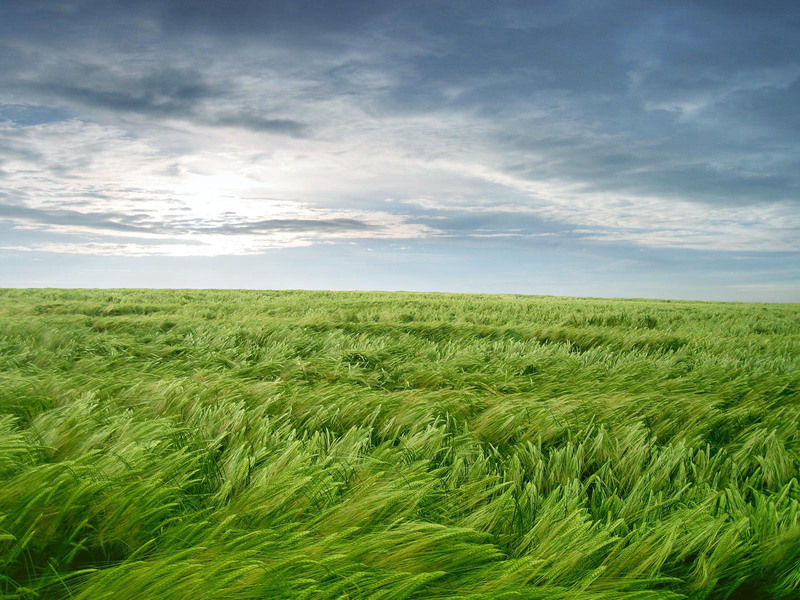 Those who live on the Canadian prairies know wind more than most. Yet even to us, Jesus says that this oh-so-familiar wind is filled with mystery. We may feel it and see its effects, but we are clueless to its origin or destination. I used to think that Jesus was comparing the wind to the Spirit. What he says is: “So it is with everyone who is born of the Spirit (Jn 3:8).” The wind’s mysterious nature speaks to the mysterious nature of those who live Spirit-filled lives. As is the wind, so is the man or woman born of the Spirit. You may have met such a man or woman. Their faith was alive in a way that was noticeable. A fire burned in them, but the blaze could not be accounted for by merely scanning their resume. Considering the sum of parts like personality, background, education, and experiences failed to square the equation. Some immeasurable force was involved. Something beyond calculation was blowing in this life. The Spirit is that wind. Nicodemus is struck dumb by this teaching: How can these things be? Can it be that Jesus is right to speak of a realm far beyond ritual and regulation? Is divine fertilization really the game-breaker for our transformation and entry into Kingdom life? Jesus’ answer: You’d better believe it! In fact, Jesus now marvels (Jn 3:9-10). Is it possible that a teacher of God’s people does not grasp this truth that the Spirit alone births new creation? The one who should be blazing trails for others and shining forth a guiding light is mystified by the vital and basic truth that the Spirit is front and center to the whole journey. There is no question that God desires every redeemed life to be a model and an inspiration. There is no doubt that He wants every church to play such a role in their settings. If we are play this part, it will be necessary to grasp one truth with two hands. The Holy Spirit births life. It is He who breathes it and brings it forth. The salvation of our city will not hinge on the number of our programs or quality of our preaching. The redemption of our region will not hang on our facility size or worship styles. Of course, we are to strive for excellence in what we do as a church; less would be lazy. And lazy would be unfaithful. But more than exerting efforts, there is need to submit ourselves to the Spirit that churns under every surface. Begin to attend to His movements in your little life, then stretch that attention to consider His movements in the little lives around yours. Plead for stronger winds, tornado-force gusts capable of blowing down or tearing up the walls we build to take refuge from the Sheltering One. Ask for spiritual fertilization and for healthy pregnancies. We do not want miscarriages or stillbirths on God’s work in our lives. We wish to see His wonders brought to term and maturing to multiply and fill the earth. Jesus closes the conversation (Jn 3:11) with Nicodemus by declaring that this view is not an opinion. Jesus is not hazarding a guess at how things work. 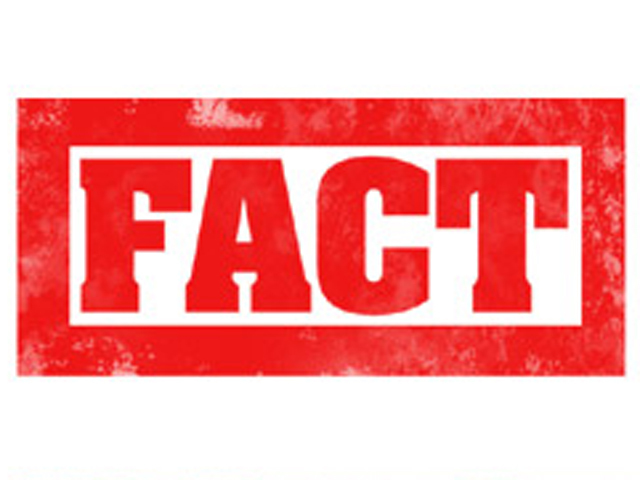 He describes himself as a witness speaking of first-hand knowledge, perfect and complete. He even says that it is not just HE who knows this, it is WE. Apparently, his followers are having firsthand experiences with the ways of the Spirit. They are tasting the wonder of rebirth for themselves. I am praying today for you, my friends, that a similar sampling is being delivered into your homes and churches as well, even this very moment. YOUR TURN: What have been your key takeaways from Jesus’ conversation with Nicodemus? How do you grasp the process of “being born again”? 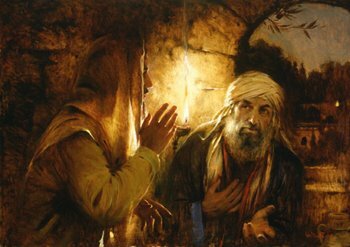 One of Jesus’ most intriguing encounters took place when a Pharisee named Nicodemus sought him out fin the wee hours for a private conversation. John 3 records Nicodemus’ desire to learn from Jesus about how one enters or participates in the reign of God (His Kingdom). Depending on your English Bible, you might see Jesus speaking of the need to be born AGAIN or from ABOVE (Jn 3:3). William Barclay hits the home run by keeping both terms: “Reborn from above.” Jesus is emphatic: One enters the flow of God in a radically new fashion. She cannot enter by striving or straining; he cannot evolve or inch his way past the threshold. We have not flattered Nicodemus; we have laughed that he would envision a physical rebirth. But Nicodemus is no numbskull. Among the brightest and most educated minds of his nation, it is highly unlikely that this teacher is tone-deaf to metaphors and is instead visualizing a man being crammed back into a uterus. Each man is the sum of a lengthy equation. We are who we are today as a result of all our yesterdays. That lengthy equation is a bundled mess of doubts and dreams, hopes and hurts, faith and fear. It includes choices wise and foolish, and habits healing and harmful. All of this is layered and swirled over a lifetime. Surely, everyone longs at some point for a clean break and a fresh start. But that is a fantasy. I mean, if physical birth is beyond possibility, how much greater a miracle would it take to remake the core of a person? How are we to understand this phrase? The mention of water quickly takes many minds to baptism. This may be, but it is certainly not Christian baptism as we know it. That imagery would have meant nothing to Nicodemus at his point on the timeline. If any baptism is envisioned, it is John the Baptist’s work for purifying repentance. That said, a better interpretation awaits. The first clue is hidden in the Greek grammar. The words are cobbled together in such a way that one phrase is indicated, not two concepts. So we are not decoding water and Spirit; we are speaking of one thing. I call it Spirit-water. And what might that be? So yes, Jesus and Nicodemus were basically bouncing around sexual (ie: reproductive) innuendo filled with spiritual connotation. And the dominant point within it all: Nothing is happening minus the Spirit’s conceiving and birthing efforts. That is enough for today. Tomorrow, we will add one more layer. This post is the fifth in a series on Losing Faith. All previous posts can be seen HERE, if context might prove helpful. Somewhere near the end of our time overseas, we were home to visit. I must have been expressing some aspect of my changing perceptions on the Christian life. My slightly-older, significantly-wiser friend responded with a question. The term felt awkwardly unfamiliar upon my ears, and my face must have said so. He clarified. For the first time, my mouth stated with my spirit had long sensed. This confession surely sent a unseen tremor through my tightly-wrapped-in-rationalism faith—a suspect form of faith, if there ever was one. 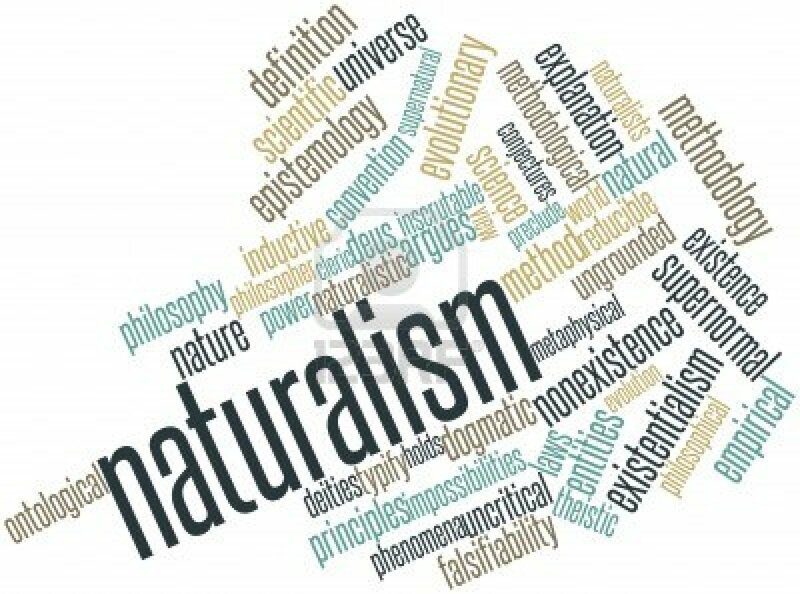 My particular version of naturalism was more personal in nature than Wikipedia’s. I have always been suspect of evolution as an adequate theory of how life originated, and I have long voiced that life’s richest realms are (relationships, art, love, dreams, morality, emotions, and more) fall somewhere beyond the horizons reached by verifiable facts. My naturalism was a mutant. I was convinced enough that God was real that He HAD to be part of my diagram, but I had no idea how to position the I AM within my tidy sketch. So I simply placed Him on the fringe, where He wouldn’t mix up the other pieces. And He had grown tired of that treatment. In short, I have been forced, by a growing list of experiences and encounters, to acknowledge that my largely logical and rooted-in-reason approach to life is an insufficient processor for the reality in which I live. Its substance is too superficial, and it lacks the weight to grapple with life as I now know it. My former framework held fast so long as God respected my boundaries and operated within the office I had set up for Him. When He began to interact intimately with me and to surprise me through the lives of better-tuned instruments than myself, profound paradox unfolded. Logic imploded upon itself, as I was forced to admit my irrational inconsistencies, surely ever-present but now painfully exposed. In light of recent revelation, it would be intellectually irresponsible to insist upon the validity of my long-held worldview. God has revealed Himself as undeniably present. In a shocking twist, the Supernatural invaded my naturalistic worldview, the world view that handed Him a long list of all He could not do. God showed up in ways that I could not explain and began threatening a cozy worldview, which had safe—and harmless—spots reserved for Him. I have not simply lost my long-held faith; it was ripped from my hands! This post is the forth under “Losing Faith”. They can easily be seen together HERE. Upon graduation from seminary, my wife and I headed to Central China to be English teachers within a medical college. In retrospect, we have no doubt of the divine designs upon that season of life. Before we even began asking for His leading, God was silently setting a course upon which we were already walking. A one-year adventure evolved into a three-year residency, during which the Middle Kingdom became our training ground on living as residents of the Highest Kingdom. Beyond travel opportunities and delicious (and dirt-cheap) food, the years provided us with a wonderful marriage foundation, as we were forced to bond unusually tightly with home’s support systems and comforts stripped away. What a gift! The highlight, however, was undoubtedly a special group of friends that developed. We worshiped together and studied together, and both Scripture and spiritual life opened anew for me during this span. We discovered hungry hearts to pour ourselves into, and spend ourselves upon. By the end of the year two, I recall a real weariness. More than a lack of sleep or energy, it felt deeply spiritual. My soul was tired. My well was drained to such an extent that refreshing seemed like fantasy. So intense was the sensation that I could hardly remember a feeling other than dry. Almost physically, I could perceive a shallowness of breath, a constricted cavity at the core of my being. Seeking rest, we booked ourselves to escape to our favourite Chinese getaway for the one-week May holiday. 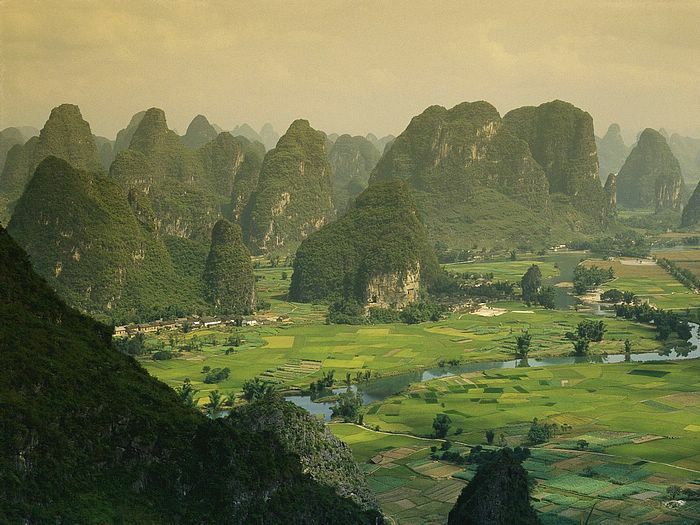 The countryside of Guangxi brings me pleasure; with its right-out-of-the-paintings hills scattered amongst picturesque rice fields, this countryside of terraced land and winding rivers is unusually beautiful. And there is no better way to get lost in those inviting surroundings than to rent a bicycle and take the first exit off the highway. On this particular day, we departed down a dirt path which was familiar from an earlier trip. The May sun was hot, and I recall a healthy sweat as I exerted myself to pull away from the group of bikers. When the gap was significant, I stopped to wait. With feet on ground and head on handlebars, I prayed. It may have been my tenth prayer or hundredth prayer thousandth prayer. For weeks, I had weakly expressed the weakness in which I found myself. I had asked for life, though my prayers were neither bold nor confident. So on this dusty road, with sweat dripping off my nose, I reservedly placed one more grain of sand on the scales of prayer, a confession that I had no life within myself. Either God would renew me, or I would remain as I was. This had been the prayer on my lips for months, and I was well into wondering whether God was listening at all. There was no warning, no dramatic build. The difference between the previous moment and the upcoming moment was unobservable, but the difference between the two was undeniable. It cooled my skin, and then it kept going. Penetrating me, the wind appeared to gain access to my depths. Like water through cracks, this breath poured through the gaps of the dry broken shell in which I had been dwelling. Physically, I could perceive a lightening and an expanding. I was breathing more deeply, and my lungs where the least of the participants. I dared not lift my head or look for my companions. The moment unfolding was clearly sacred, and I would not disturb it. Recalling the event still ignites the memory with vividness. It was the first time I stared a miracle in the face, and what a faith-damaging miracle it was. Apparently, the eternal Spirit of God, the same One credited with calming chaos at Creation, was still stirring and breathing in places that were void and empty. And if that were true, then the faith that I had carefully constructed was hopelessly hampering my interactions with Him. For this fellow, a sweat was the least of what was breaking in the sticks of China that day. A sacred Wind had Jericho-ed my well-constructed walls, and a long-held faith was slipping through my fingers as subtly as its assassin had approached me on that unmapped dirt road. My faith was being lost. 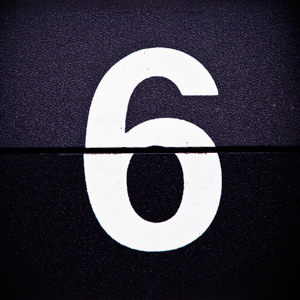 Here we are–the weekend arrives with the latest Six-Pack arriving on your digital doorstep. Below are a half-dozen of the best ministry-minded or faith-focused articles I read this week. Here they are, with a smattering of who-knows-what. If six options are too many, start with the two *Picks of the Week*, and roll on from there. For a steady stream of such links, follow me on Twitter ( @JasonBandura ) to the right of this post. Sharp quotes and solid articles are tweeted 3-4 times daily. Count Donald Miller among the rest of us who have tasted criticism at some point. Here are a few ways to handle it the next time it arrives. Kirsten Powers, for USA Today, offered this piece on the shocking media silence surrounding the nightmarish trial of Dr. Kermit Gosnell. You won’t have heard this on the news. You’d best hear it here, though you won’t enjoy the read. Kent Hughes shares this word to preachers in his commentary on Isaiah, regarding the pleasure of God in the task of preaching. Thanks to Tim Challies for sharing. From the Gospel Coalition, there are a number of very valid points made in this finely nuanced piece. Scot McKnight posted this interview with Jack Levinson (done by Mark Stevens), about his new book on the Holy Spirit. The Religion News Service shared this powerful piece of the miles-from-my-experience life of Chris Simpson. Blessings on you, my friends. May your weekend be filled with rest, play, and worship to re-create you one more time! YOUR TURN: Add a line below to direct other readers to the best stuff above or to highlight the piece that gave you something worth keeping. Your input makes this post better!